Leading BMW Continental Tire Sports Car Challenge team ready for Barber's rolling hills and natural terrain. GRAND-AM’s premier production-based road racing series will visit a variety of venues during the 10-round championship this season, but with this weekend’s Barber 200 at the picturesque Barber Motorsports Park circuit in Leeds, Alabama, BimmerWorld’s pair of BMW 328is and M3s will get to race in a more traditional setting. Carved within Alabama’s hilly southern countryside, Barber’s 2.3-mile, 17-turn natural terrain road course kicks off eight consecutive races on purpose-built road courses after the series spend the first two rounds competing on unique ‘Roval’ tracks that use a combination of oval and road course circuits. The appeal of a facility like Barber–especially for the group of BMW experts at BimmerWorld–comes from the demanding road course itself. Handling–a specialty of BimmerWorld’s Street Tuner-class 328i and Grand Sport-class M3 platforms–is at a premium at Barber, as well as braking, which should give BimmerWorld’s fleet of race cars a strong chance to demonstrate the innate characteristics the German machines are known for. Round 2, held at the Homestead-Miami Roval one month ago, failed to deliver the type of results BimmerWorld has become accustomed to, so with the extended time between Round 2 and Round 3, team owner/driver James Clay says his skilled team of technicians has been hard at work to make sure their BMWs maximize their potential at Barber. BimmerWorld’s GS line-up features Bob Michaelian and Kenny Wilden driving the No. 79 Bizrate.com BMW M3, and James Clay and Seth Thomas in the No. 79 Johnstone Supply M3. With Michaelian serving as the defending GS race winner at Barber and Clay leading the development of BimmerWorld’s brand-new M3 V8 race cars, confidence is high with the race just days away. BimmerWorld’s pair of ST 328is are poised for another run at Barber after David White claimed pole position for the 2010 Barber 200 race. Partnered with Bill Heumann , two-time 2010 race winner and the 2010 MESCO Rookie of the Year, White says a return to Barber in the No. 80 BimmerWorld BMW has been highly anticipated all year. With the one-month gap between races, White has found plenty of non-race activities to keep himself busy during the layoff. ST rookie John Capestro-Du Bets, who shares the No. 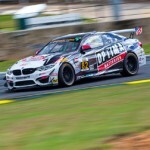 81 BimmerWorld BMW with touring car ace and fellow Exclusive Management teammate Gregory Liefooghe, says he’s treated the extended period between Homestead-Miami and Barber as a time to push his physical training regimen to new levels. 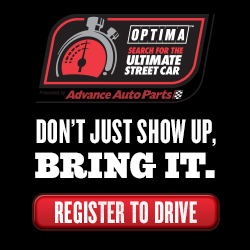 As the Championship enters Round Three, all the car and personal preparation will be critical and thoroughly tested. 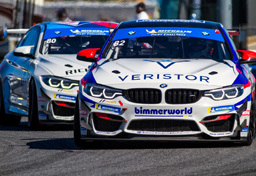 Follow BimmerWorld’s progress this weekend at www.BimmerWorldRacing.com, and tune in to watch the race on April 17th at 3 p.m. ET on SPEED.